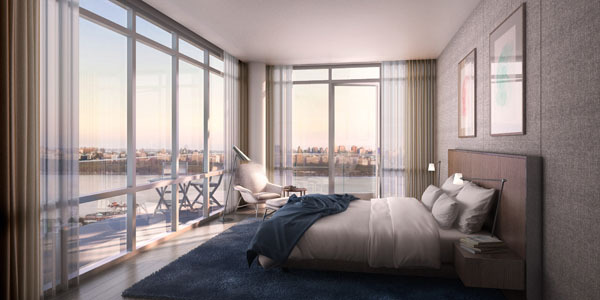 New York City residents looking for a piece of suburban tranquility without sacrificing the luxury, services and convenience they’re accustomed to are discovering the perfect lifestyle blend just across the Hudson River in Cliffside Park, NJ. There, perched high atop the Palisades cliffs with panoramic views of the Manhattan skyline, sits One Park, a new 14-story upscale condominium building rising in this quaint Bergen County town. Sales recently launched for the new collection of 204 residences from an onsite sales gallery where Halstead Property Development Marketing (HPDM) is previewing the homes. 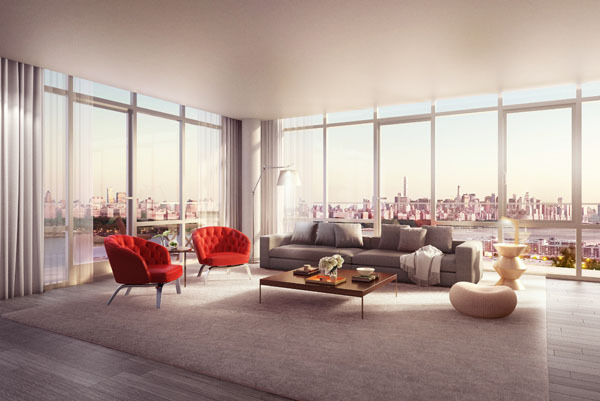 Scheduled to be completed in fall, 2018, One Park is being developed by DMG Investments, a Manhattan-based real estate firm known for creating high-end new-construction projects in vibrant urban settings. Designed by noted architectural firm Architectura, One Park boasts a glass curtain wall and private outdoor space for every home. 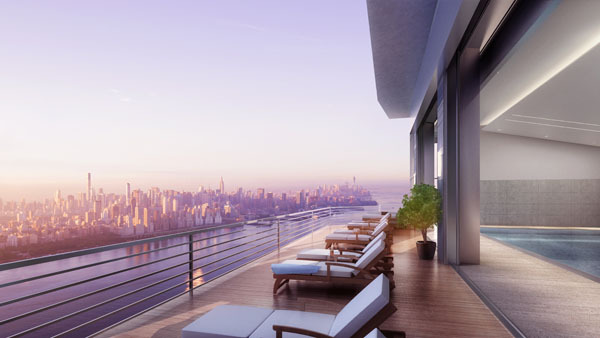 The distinctive new landmark offers one-, two-, three- and four-bedroom residences priced from $495,000. 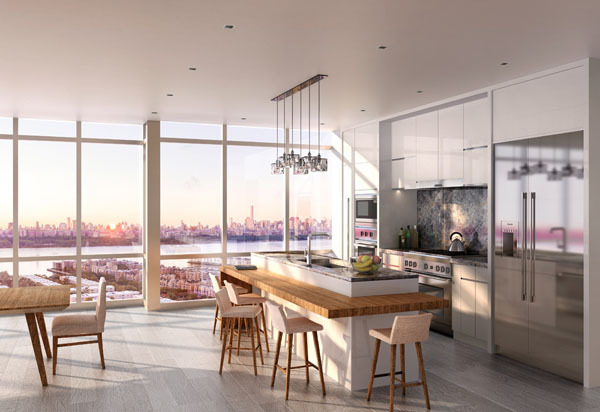 Interior spaces curated by boutique design firm, VLDG Inc. feature spacious kitchens with chef-caliber appliances, the finest fixtures, and magnificent views. Bedroom suites are calm sanctuaries for rest and relaxation, with floor-to-ceiling windows flooding the space with light. 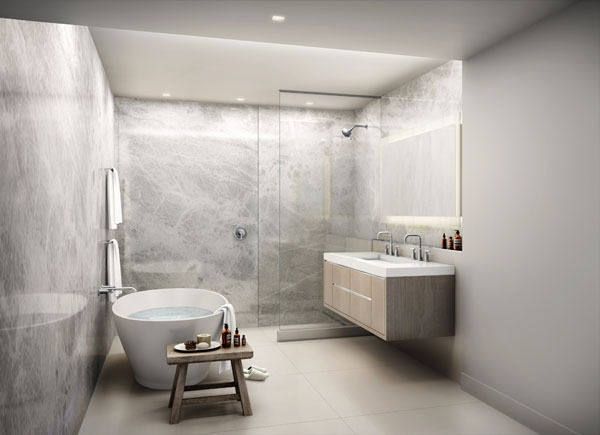 Spa-inspired bathrooms are adorned with a freestanding sculpted tub, large open shower, porcelain flooring and richly-toned wall tiles. The dramatic elegance and sophistication of One Park are further enhanced by its more than 25,000 square feet of indoor and outdoor amenities. These will include a 24-hour attended front desk, an Aquatic Center featuring an indoor 55-foot heated pool with adjoining sauna, steam room, and outdoor sun deck; and a private furnished roof deck including dining terrace with grilling stations, fire pits, intimate seating areas and outdoor movie theater. 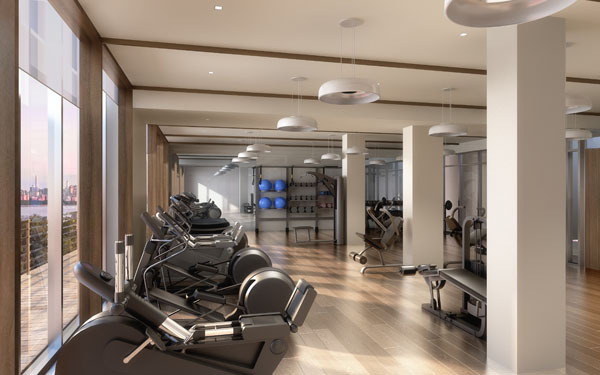 There’s also a state-of-the-art fitness center with private Pilates room and squash court, a golf simulator, children’s playroom, a pet spa, guest suites and a secure parking garage with a fully-automated Unitronics system.